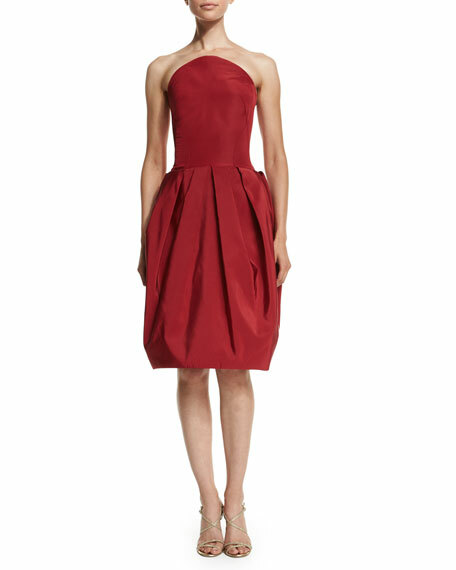 Zac Posen woven cocktail dress. 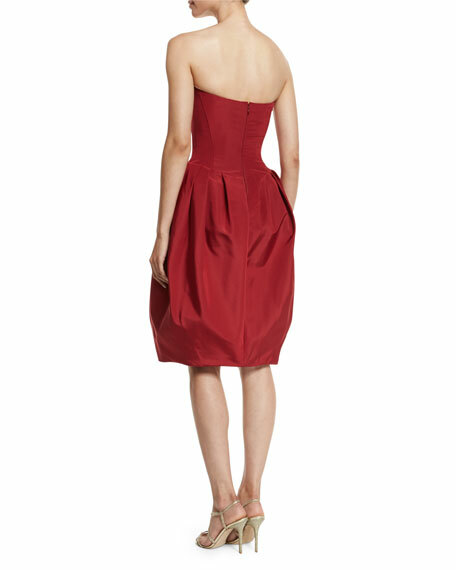 Curved strapless neckline; dipped back. Bubble hem falls to the knee. For in-store inquiries, use sku #1655179.